What is the cloud in relation to your accounts? Basically, it’s an online version of accounting software. The big players (Quickbooks, Xero, Sage and Kashflow) have their own versions, and there are some others out there, too. You usually pay a small monthly subscription to access the software, rather than pay a large sum for the license outright. If you have a bookkeeper or accountant taking care of your data on a desktop system, or you have your receipts in a box to give to your accountant when you see her, then you don’t have instant access to your accounts. You can ask the bookkeeper or accountant to send your data to you, but it’s no substitute for logging in and just taking a look any time you want to. Back in the day, sometimes you did your own data, but you then had to send it to the accountant to make adjustments. And you couldn’t do anything until she sent the data file back. Now both you and your bookkeeper or accountant can be logged on at any time, and you can both enter the data you want. You can enter your bank login details (very securely) on the accounts software and it pulls the transactions from your bank. It’s not a substitute for reconciling your bank account monthly, but it can make adding transactions or matching payments to outstanding invoices a lot quicker. There are currently over 200 apps that integrate with Quickbooks, and I would bet Xero has a similar number. This means that you can automate the entry of your purchase invoices and receipts, get staff to track their time online, manage stock and orders from your online stores, forecast cash flow, and much more. Once you have the cloud accounting software set up and working properly with either yourself or your bookkeeper/accountant managing and overseeing your finances and you’ve potentially integrated some of your other services via apps, you can get real time data and reports. Your bookkeeper or accountant can help guide you on what reports are the best for you and your business. So that’s it. What are you waiting for? 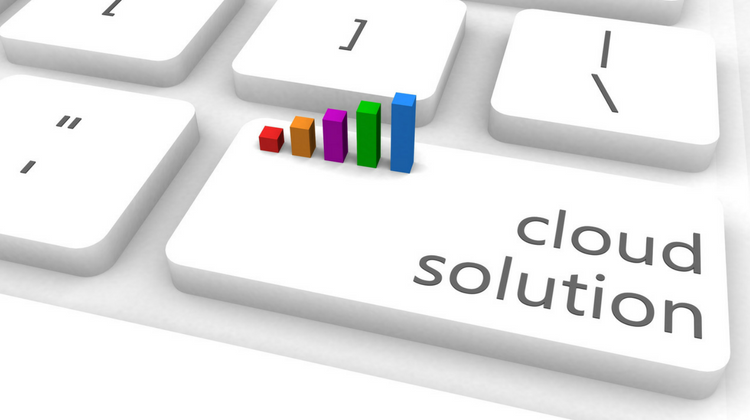 Move to the cloud so you can spend less time managing your accounts data and have more time for you instead. If you’re worried, a Quickbooks ProAdvisor can help you.